NOTE: If ordering 1″x1″ plugs, you must order is multiples of 72. 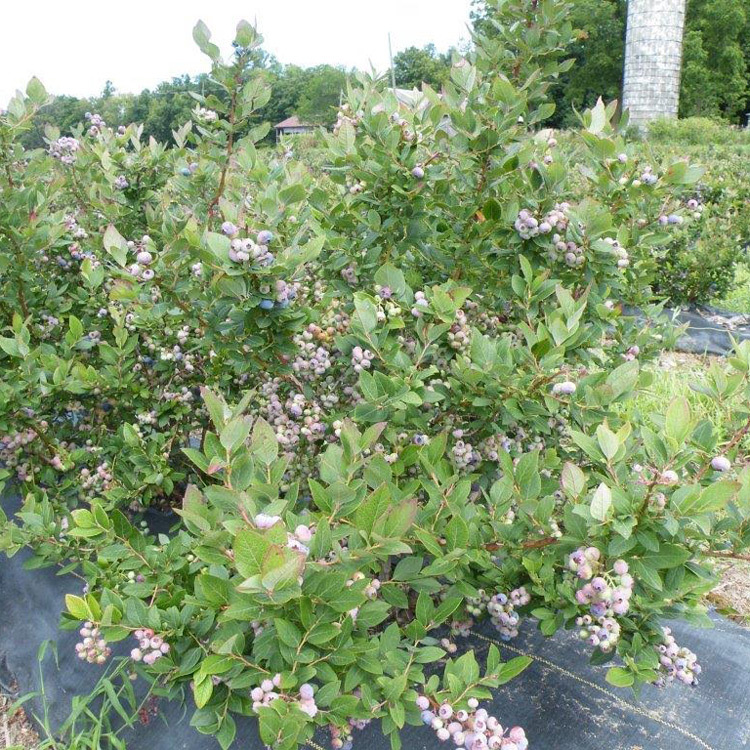 A very early season highbush type cultivar. The plants have high vigor and will grow to a mature height of 5 to 6 feet. Plants grow upright, spreading to 3 feet at maturity. 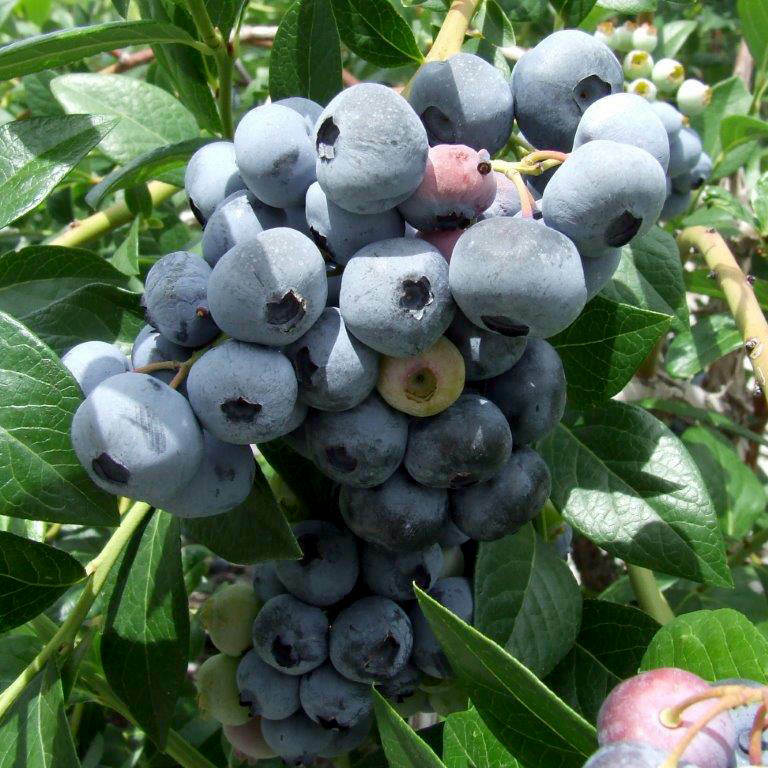 The Sweetheart fruits ripen a few days earlier than other early ripening cultivars. A good choice to plant with Duke and Hannah’s Choice. 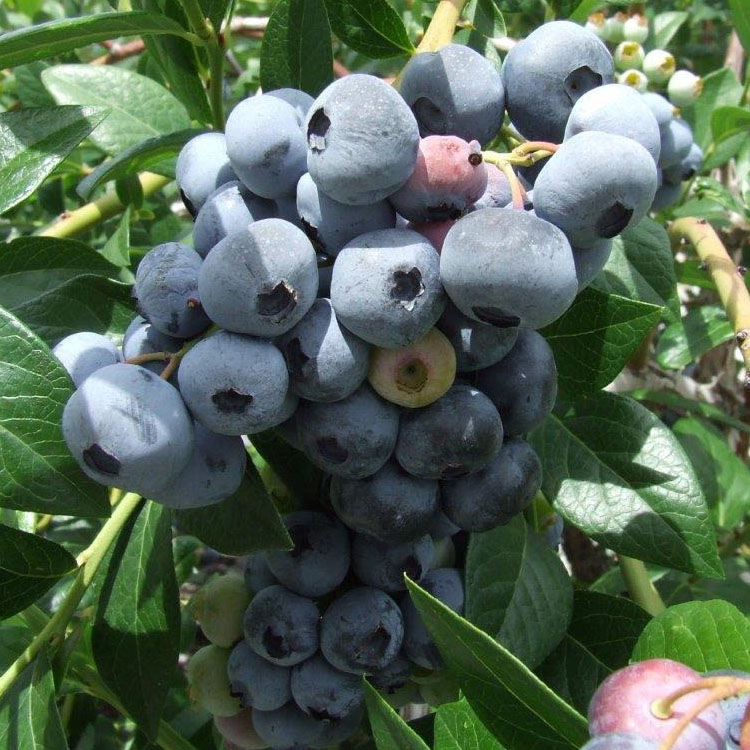 Yields are consistent and high, capable of producing 15 pounds of fruit per plant every year. 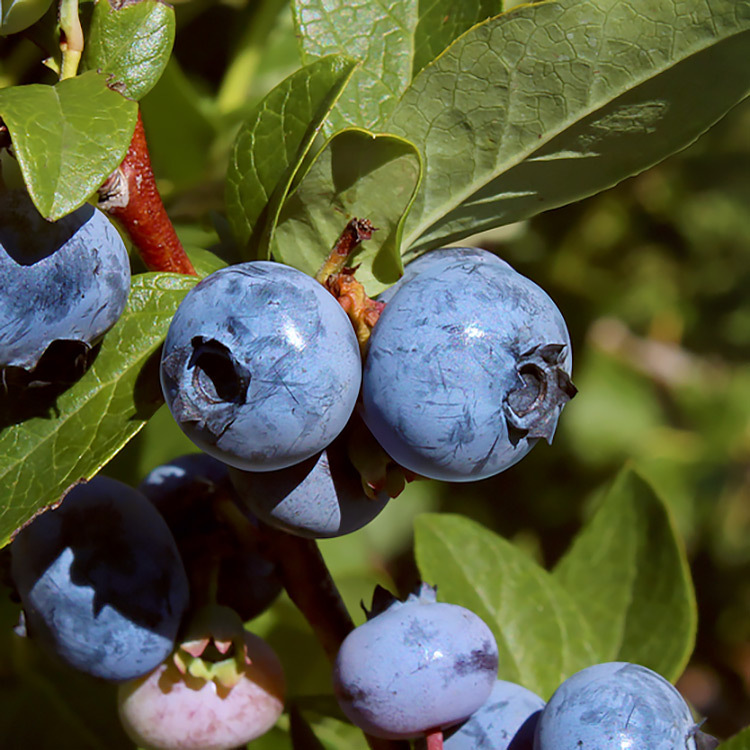 Fruits are medium to medium large, 1.6 to 1.7 grams per berry. 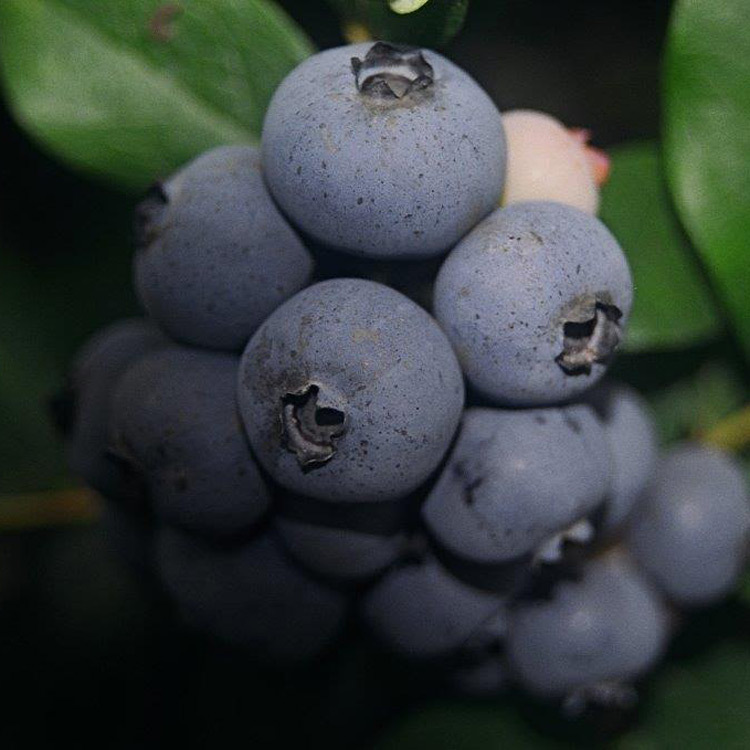 The berry has a light blue color adhering to the fruits even after harvest. 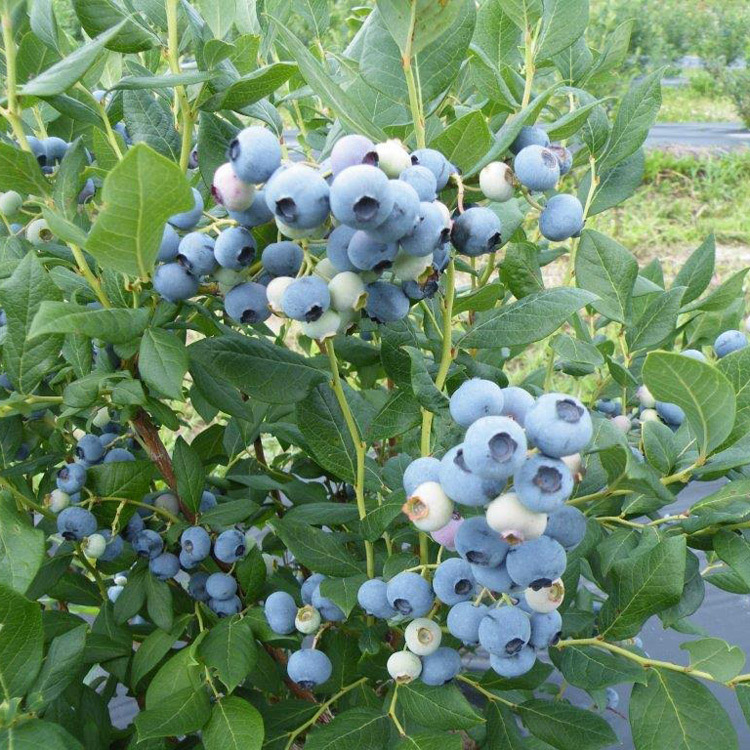 The fruits are very firm storing for several weeks at 38 degrees F. Many blueberry cultivars lose some of their flavor after long term storage but Sweetheart continues to have the sweet aromatic flavors the same the day it was harvested. Harvesting can be accomplished by hand or mechanically. 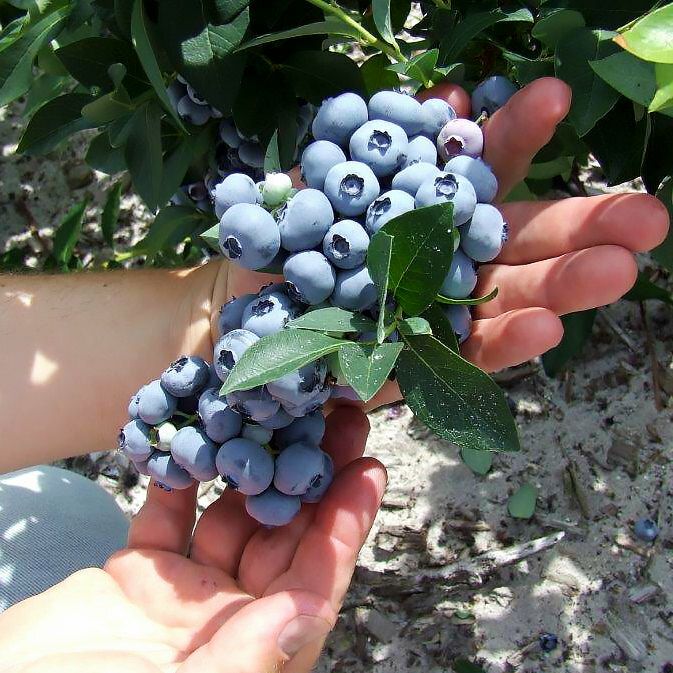 The attributes of loose clusters, firm fruits and upright branching makes it a good candidate for mechanical harvesting. 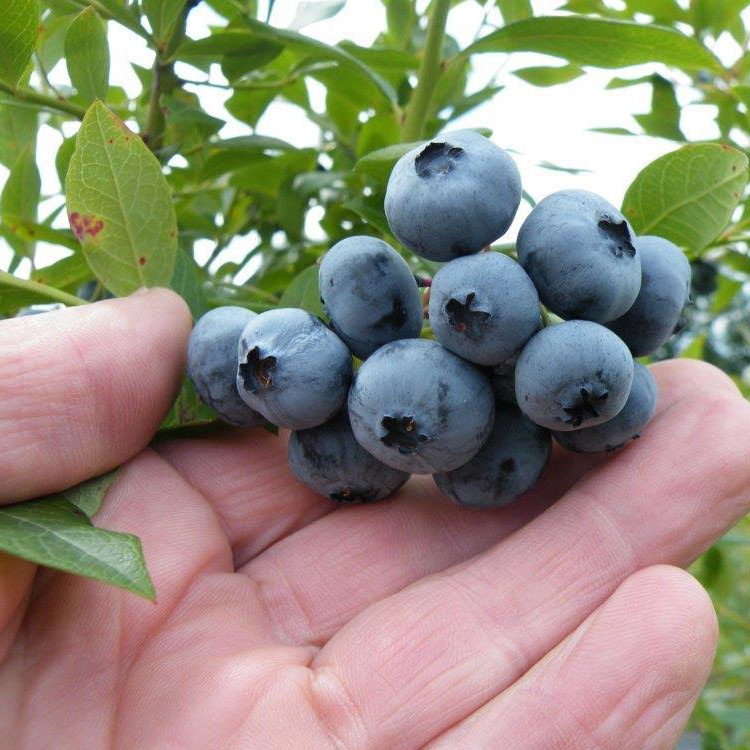 Fresh fruit marketing is recommended, the fruits are attractive with excellent firmness. 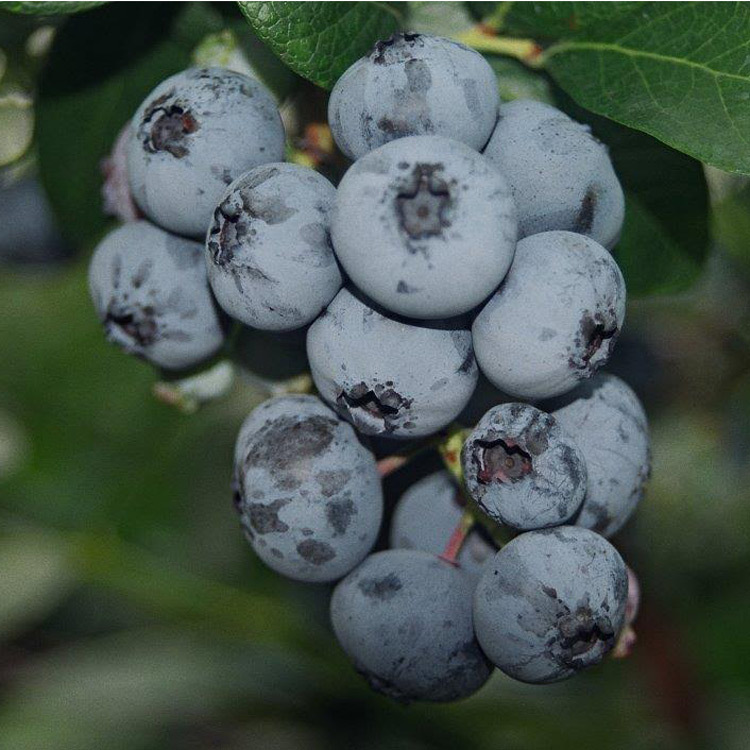 Sweetheart is an improvement for early ripening cultivars.